Always stressed out at work, Tutubi has a part of his job that takes him to seminars outside of the big city four times a year. The latest was a trip to the peaceful surroundings of Mt. 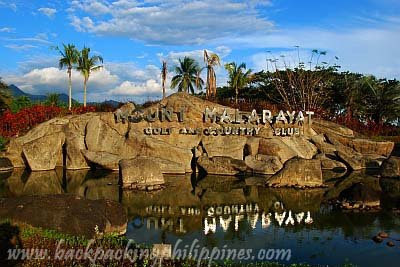 Malarayat Golf and Country Club. 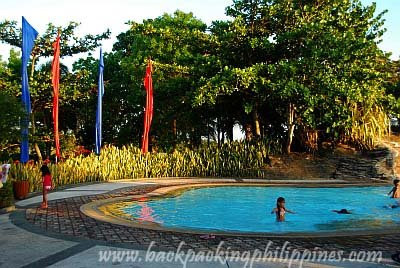 Left Makati at around noon and took a late lunch at Rose and Grace Restaurant in Santo Tomas before going back to enter the Startoll on the way to Lipa City, Tutubi was again excited by his upcoming change in environment beginning with the gates of the playground of the rich and famous in Batangas. 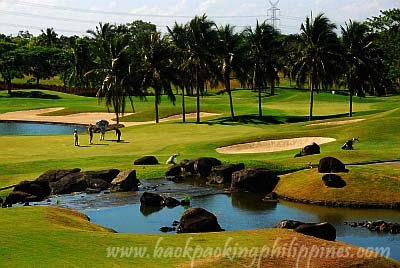 The golf course, designed by world-renowned J. Michael Poellet, is a 27 hole, championship golf course. Tutubi was about to explore the golf course and surrounding areas when a distress call of one of his officemates made him go to SM Lipa instead to withdraw money transferred to his account at an ATM. remember, you can only withdraw a maximum of P20k per day so he volunteered his account for his officemate to get his money much more than the maximum daily ATM withdrawal limit of his bank. Don't take his word for it. Tutubi rode a van back to Manila but passed by Mt. Carmel church, ate at Hapag Pinoy restaurant, Babe's buko pie for pasalubong, Panaderia Pantoja in Tanauan, and late lunch at Rose and Grace in Sto. Tomas for another round of steaming hot bulalo and crispy tawilis. Food was great and tasty at the clubhouse but took too long to be served. Front desk and other staff were friendly and accommodating. Being not a hotel, they find it hard to serve large groups of people like the seminar Tutubi attended. Tutubi found out he also left his Nikon 18-200 VR lens hood in his room when he's already in Makati. 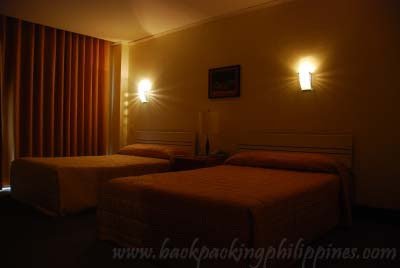 When he sent an email to the front desk people, he received a call from them and informed him to fetch his lens hood, costs about P700 for a single piece of black plastic shaped like a flower to prevent lens flares, the following Saturday with the help of his officemate who lives in Tanauan. 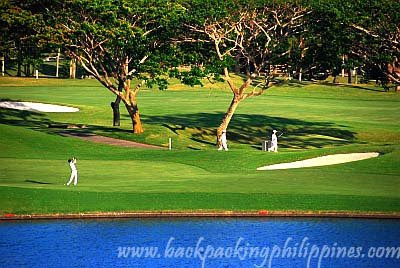 • Golf Clubhouse - Exclusive men’s & women’s locker rooms equipped with showers, jacuzzi, steam baths, sauna massage, pampering areas and a gym; fully –equipped golf clinic; golf equipment servicing facilities; pro shop; lobby lounge; function rooms; covered parking for golf carts. How to Commute from Manila: Board any bus bound for Batangas City via Tanauan (Not via Calabarzon) in Pasay City (Taft Avenue near corner Gil Puyat Ave (LRT Buendia station) then drop off when you see Fiesta World Mall (Fiesta Mall). 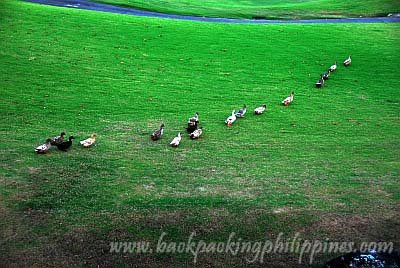 Ride a tricycle or a jeepney with Dagatan signboard to take you to the golf club. Driving directions to Lipa, Batangas: from Makati, head towards SLEX and exit at Silangan (Batangas Lucena). Drive directly ahead passing by Shell, Turbina and Carmelray until you reach Star Tollway (StarToll). Enter Star Toll by turning right and exit at Bulihan (access to Malvar town) turn left after the toll gate, and drive to the end of the road where you turn right (this is now old highway) that leads to a road where you see Fiesta Mall. Turn left at the road with Fiesta Mall until you see the prominent sign of Mount Malarayat. Note: should you happen to miss Bulihan exit at Star Toll and instead took Tambo (Lipa) you need to go back to get to Malarayat where you also pass by Robinsons and SM City Lipa. nice place. looks like this blog keeps the most number of places to visit. you really feature nice places. places that people do not often visit. i wonder if this is your profession. Are you working as a photographer for magazines? 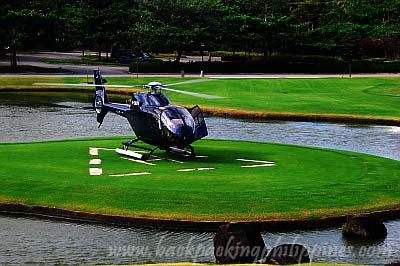 Anyway, I like the helipad; it's really cool! wow! i didn't know there are all these facilities in Mt. Malarayat. we had an event there last year but i didn't have the chance to tour around the facilities. It looks like a nice place to visit even for nongolfers. 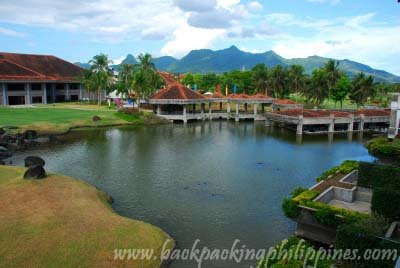 golf courses reminded me of a golf course near my sister's school.. owned by koreans.. it used to be an airsoft place.. now.. no more airsoft battlefield over there..
Wow, batangas naman ngayon. seminar yan so all expense paid trip siguro yan. galing. konti pa lang nalilibot ko sa batangas (lemery, anilao) yung iba nadaanan lang. You have a nice site too! I also hope to visit the Philippines one day and your site definitely gives alot of useful info on that! Looks like a pretty up market place. Terrific golf club! how much for wedding venue for that place?